With a colorful and fresh design, Gamblio feels like a fun casino with a theme suitable for the UK market. The casino site offers a massive selection of slots and also includes the classic table games such as Roulette and BlackJack. A logotype dressed in a hat, the casino will catch your attention and if that does not work, a welcome bonus of 100% up to £200 will for sure. At Gamblio, you get a good start on your casino journey with a deposit bonus that matches your first deposit by 100% up to £200 topped with 25 free spins on the classic free spin slot Starburst. After making your first deposit, the bonus is valid for 90 days, so there is time to make use of it. The free spins, on the other hand, are valid 7 days from the day you make a deposit so do not forget to use them. The wager requirement is set to 50 times the money that may be considered high, but free spins are for free, so the question is whether the wagering requirement matters. Looking at the other campaigns at Gamblio, they are quite creative. On Mondays, Gamblio has a campaign called “Monday Madness” where they offer all customers a 100% deposit bonus for the first deposit and 50% on the second one made during the day. By that, Monday Madness is worth creating a reminder in your calendar about. A promotion worth mentioning is called “Game of The Day”. It means free spins every Wednesday. You are rewarded for your loyalty every week with free spins on a selected slot. Every Wednesday, they will send you a special email that reveals the game of the day. All you have to do is log in and play! Gamblio seems to like branded slots since the majority of slots they push are based on different TV-series, books, and movies that are popular right now. Fun to follow since these games do not get pushed at other slot sites. The reason for that is that such games often are more expensive to use for the casino, as royalties need to be handed out to the original brands. For players who wish to find other slots the games, they are categorized in a menu tab that is easy to navigate. Here you can browse between regular slots, live casinos jackpot slots and so on. For slots that are hot for the moment, Gamblio has integrated a function where you can see the latest winnings including both the amount and the particular slot machine. Gamblio collaborates with more than twenty different game suppliers, and except the big and already established providers, Gamblio also works together with some smaller ones such as ELK Gaming and Blueprint gaming. Fun since this means new slots you barely can find at other casinos. Similar to most slot sites, the time and effort required to make a deposit are minimal. At Gamblio, deposits are carried out without any transaction fee where Gamblio also supports most e-wallets and traditional payment methods. As a way to give first class service to their customers, Gamblio takes it one step further explaining how deposits are made regarding which particular payment provider you use. In a list on their web page, Gamblio has done step by step instructions explaining how to make the transaction. Such service indicates that customer focus is something that Gamblio takes seriously. Adding SSL encryption for all transaction is another thing Gamblio does to make sure your money is in safe hands. Made with a UK focus, customer support and payment methods are developed to fit needs for British customers. The site feels very familiar and friendly and most importantly safe. An extensive FAQ section is created to answer all possible questions, and if you ever need to contact the customer support, a friendly and experienced team will help you. After becoming a customer at Gamblio, make sure remember their Monday Madness since you will get the deposit matched by 100%. 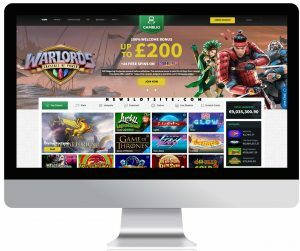 Since Gamblio is a casino that has invested heavily in a good product and other services, it is also recommended to check your inbox once in a while for other campaigns.